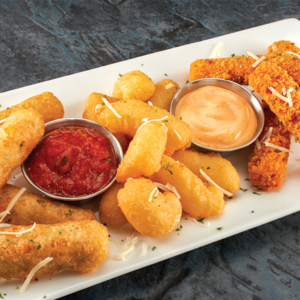 Trio of white cheddar bites, pesto-battered mozzarella sticks and spicy, breaded pepper jack cheese sticks. 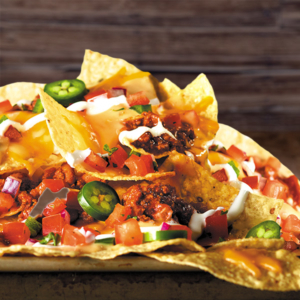 Stacked and loaded with chili, cheddar and Cheddar Jack cheeses, queso fresco, sour cream, pico de gallo and fresh jalapeños. 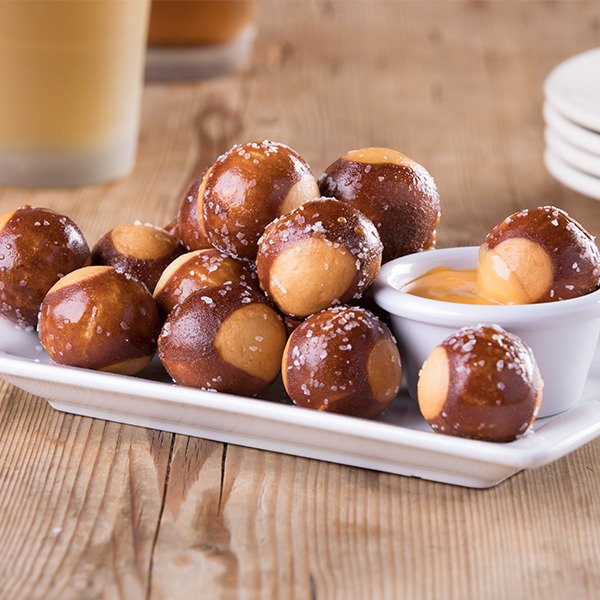 Light and airy with a touch of sweetness, deep fried to perfection and tossed with Kosher salt. Served with Cheddar cheese sauce. 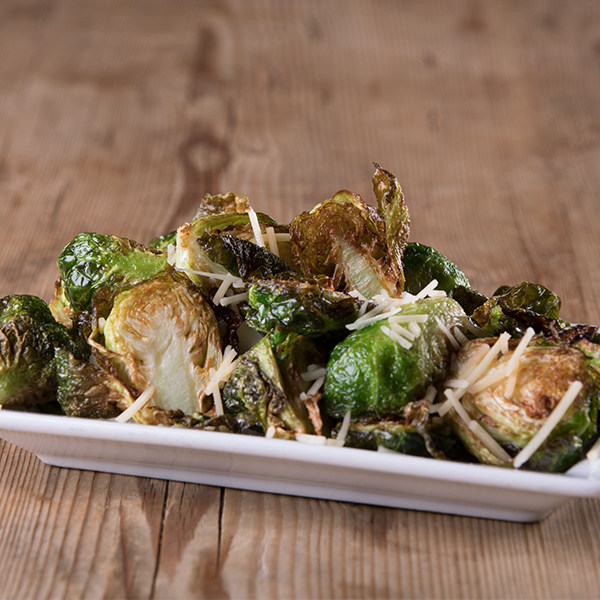 Fresh Brussels sprouts deep fried until crispy and drizzled with a balsamic glaze and topped with parmesan cheese. 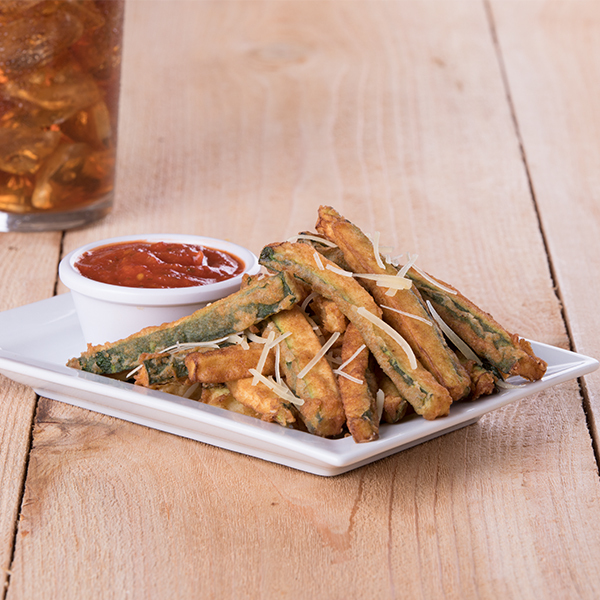 Hand cut zucchini straws, lightly battered and cooked in small batches to a crisp golden brown. Sprinkled with shredded Parmesan cheese and served with a zesty dipping sauce or marinara. 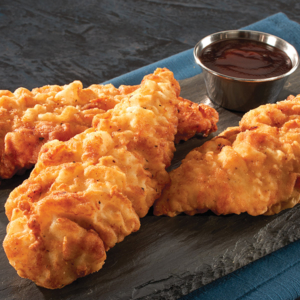 Handcrafted all white meat chicken fried to a crisp golden brown and served with choice of ranch, blue cheese, BBQ, Frank’s Redhot or honey mustard dipping sauce. 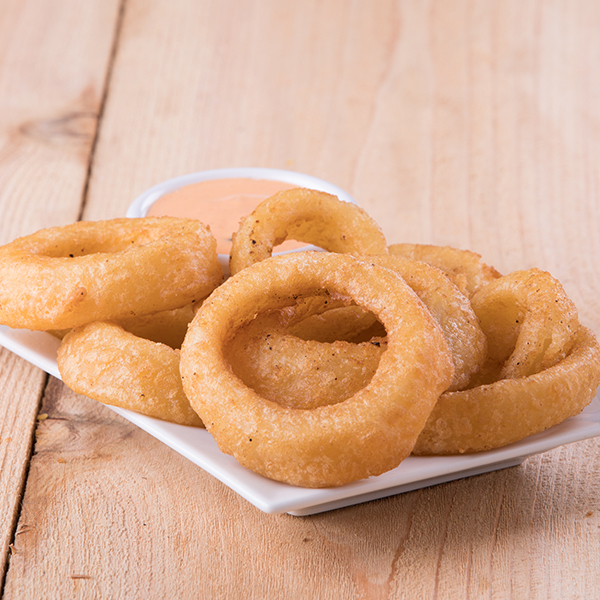 Battered onion rings deep fried to perfection. Served with our signature petal sauce.